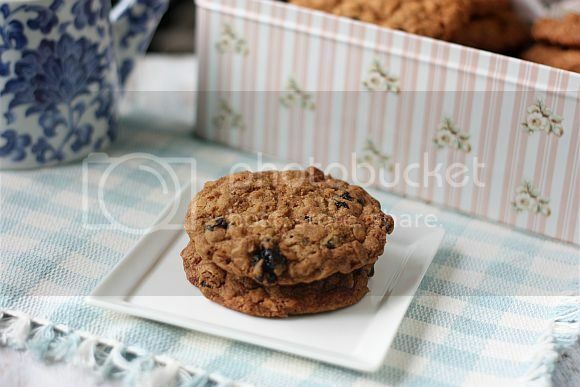 I came across this recipe in my of my cook books and was intrigued as to why plain old oatmeal cookies would be called "President Clinton's Oatmeal Cookies". Was there any connection to Bill Clinton, the former USA President. As I read the introduction writen by Sherry Yard, it sure did. In fact she made these cookies for him when he was a regular gues at Spago. The recipe is pretty simple but it does use two types of sugar, white and brown. I think the brown sugar gave it a more flavoursome taste. I particular like my oatmeal cookies to be chewy in the center which meant a shorter baking time. If however you are the type that likes yours to be crispy, just bake it a bit longer. 1) Sift flour, baking soda, spices and salt and set aside. 2) Cream butter and sugar until soft and fluffy. Add the eggs one at a time and beat until incorporated. 3) Add in the flour, 1/3 at a time and mix until well combined. 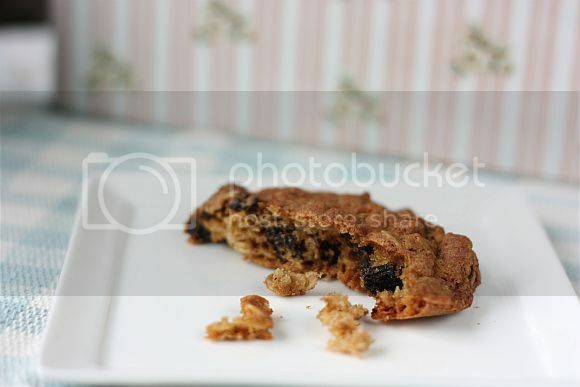 Then all in the oats and raisins and fold into the cookie mixture. 4) Take 1 heap Tablespoon size of cookie dough and roll into a ball. Flatten it slighly with the heel of your palm. Place onto a lined baking sheet about 2 inches apart. The cookie will spread once it is in the oven. 5) Place baking sheet into a pre-heated oven of 180C (170C force-fan) and bake for about 12 mins. Cool completely before storing into tins. The name is indeed catchy, makes me want to try and have some "clinton" taste in my kitchen too. LOL. I still remember the Elvis Fav Pound Cake I did, the original recipe has so much sugar that I understood why the king grew so heavy, LOL. 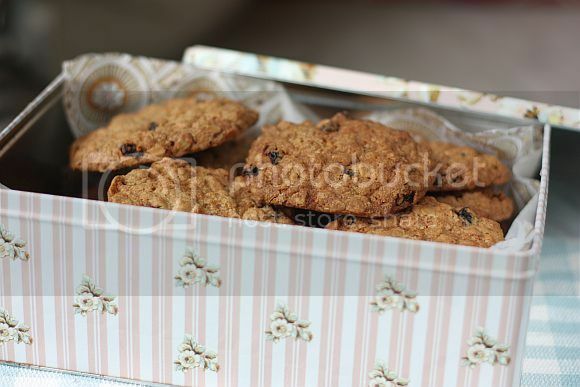 They look like the oatmeal cookies I would love too, President's or not!